One of the greatest challenges for English language arts teachers today is the call to engage students in more complex texts. 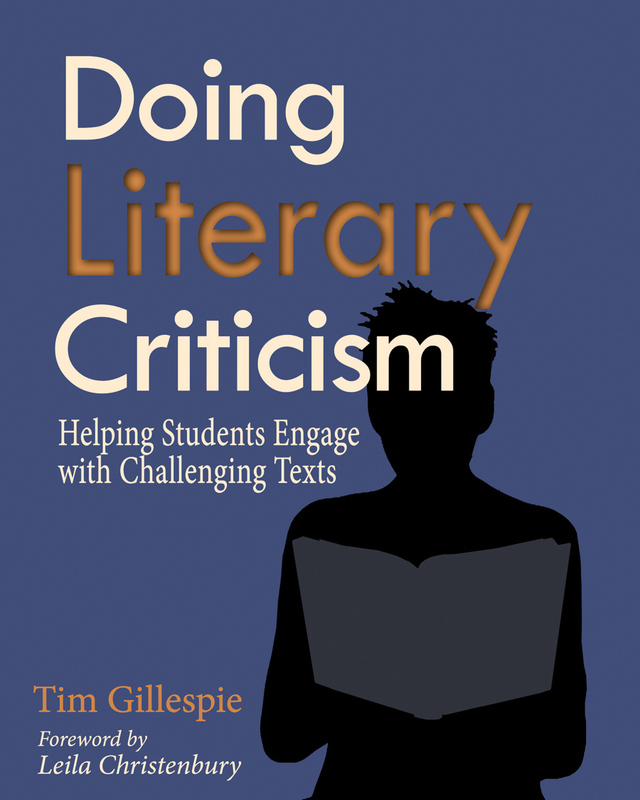 Tim Gillespie, who has taught in public schools for almost four decades, has found the lenses of literary criticism a powerful tool for helping students tackle challenging literary texts. Tim breaks down the dense language of critical theory into clear, lively, and thorough explanations of many schools of critical thought: reader response, biographical, historical, psychological, archetypal, genre based, moral, philosophical, feminist, political, formalist, and postmodern. Doing Literary Criticism gives each theory its own chapter with a brief, teacher-friendly overview and a history of the approach, along with an in-depth discussion of its benefits and limitations. Each chapter also includes ideas for classroom practices and activities. Using stories from his own English classes—from alternative programs to advanced placement and everything in between—Tim provides a wealth of specific classroom-tested suggestions for discussion, essay and research paper topics, recommended texts, exam questions, and more. The accompanying CD offers abbreviated overviews of each theory (designed to be used as classroom handouts), examples of student work, collections of quotes to stimulate discussion and writing, an extended history of women writers, and much more. Ultimately, Doing Literary Criticism offers teachers a rich set of materials and tools to help their students become more confident and able readers, writers, and critical thinkers. Tim Gillespie is a veteran of thirty-eight years of public school teaching. A winner of a National High School English Teacher of Excellence Award from NCTE, he wrote regularly about his classroom experiences during his years in the classroom.